Fighting Cancer By Putting Tumor Cells On A Diet : Shots - Health News While genetic mutations are nearly ubiquitous in cancer, they may not always be the driving force for disease, some researchers say. They suggest looking at disruptions in cellular metabolism. Foods that fit the ketogenic diet are high in fat and low in sugar. Cancer dogma holds that most malignancies are caused by DNA mutations inside the nuclei of cells, mutations that ultimately lead to runaway cellular proliferation. Given the countless genetic blips that have been associated with various cancers, the illness has actually come to be seen as a complex of diseases for which personalized treatments might offer the best chances of success. But prevailing oncology orthodoxy has its detractors, and some cancer biologists feel that while mutations are nearly ubiquitous in cancer, they may not always be the driving force for disease. Cancer, they suggest, might actually be as much a disorder of altered energy production as it is genetic damage. This idea traces back to the work of German physician Otto Warburg who, in the 1920s, reported that rather than generating energy using the oxygen-based process of respiration as healthy cells do, cancer cells prefer the anaerobic, or oxygen-free, process of fermentation. Not all products of fermentation are as welcome as beer, wine and cheese. Boston College biology professor Dr. Thomas Seyfried is a leading proponent of the metabolic theory of cancer. He proselytizes Warburg's findings and in 2012 published an academic book called Cancer as a Metabolic Disease that lays out the evidence behind his beliefs (Currently the book's Facebook page has over 6,000 followers and a lively exchange of self-help tips). Seyfried argues that decades of research, including his own, support the idea that aberrant metabolism can somehow induce malignancy. Further, he believes that research supports at the idea that limiting the fuels available for fermentation — that is, the sugar glucose and the amino acid glutamine — is an overlooked approach to aid treatment. He specifically implicates mitochondria, our energy-producing organelles, in spurring on malignancy. This belief is in part based on work from the '70s and '80s showing that if the cytoplasm (the buoyant cellular goo that contains the mitochondria) is transferred from a normal cells to a tumorigenic cell (one with the potential to develop into a cancer) the tendency toward cancer is suppressed. Conversely, animal research has shown that transferring the nucleus of a malignant cell into the cytoplasm of a normal cell inhibits the tumor potential of that initially malignant cell, implying, according to Seyfried, that whatever is causing the cancer lies in the cytoplasm, not the nucleus. More recent research shows that the introduction of mutations in mitochondrial DNA (former single-celled organisms that our cells eventually engulfed, mitochondria have their own genetic material) reduces the tumor protection purportedly provided by normal mitochondria. "If you look at the data, you could say that there is clear evidence that cancer is a genetic disease since we can inherit mutations associated with increased cancer risk," says Seyfried, "but many of these mutations disturb cellular respiration. And many non-inherited causes of cancer like radiation impair mitochondrial function." Could Depression Be Caused By An Infection? Seyfried's colleague Dominic D'Agostino, a biology professor at the University of South Florida, also subscribes to the idea that the primary driver of cancer is mitochondrial dysfunction, which can be induced by any number of carcinogens — genetic predilections, radiation, chemical exposures and diet among them. Not only do many mutations and pathways associated with cancer impair mitochondrial function and cell metabolism, he says, but injured mitochondria also produce volatile compounds called "reactive oxygen species" that can damage DNA. "This can explain why most cancers have mutations," he speculates, "in many cases they're secondary to mitochondrial damage." Dr. E. Aubrey Thompson, a cancer biologist at the Mayo Clinic who in his own words is "strongly on the mutation side," acknowledges that cancer cells re-orchestrate their metabolic activities and that interfering with cancer metabolism is a potentially fruitful area of research. "There are hundreds of labs already working on this right now," he says. Yet, he adds genially, "there is no evidence of malignancy developing in the absence of mutations. Anyone who thinks otherwise is obligated to design an experiment to disprove this concept ... that's how science works." It turns out there is some evidence that this might happen, but it's limited. Seyfried pointed me to a 2015 paper by Dr. Stuart Baker of the National Cancer Institute that reviews four recent studies reporting numerous tumors in which zero mutations were found. Seyfried acknowledges that mutations might have been found with more thorough screening and better DNA sequencing technology. Memorial Sloan-Kettering Cancer Center President and CEO Dr. Craig Thompson (not to be confused with Mayo's Thompson) hedges on the metabolic theory of cancer. "While the arguments raised [by Seyfried and others] have been considered by the growing field of cancer metabolism, most investigators have moved on to consider other explanations for the observations," he said in an interview. Still, he has recently written in support of some aspects of the theory with therapeutic implications. In a way, the various competing cancer theories aren't completely at odds. "Despite all the talk of controversy in the field, the concepts that [Seyfried] and his colleagues are advancing are not really that novel," says Mayo's Thompson , "I think everybody who works in cancer biology today appreciates the fact that there are many different processes involved in a conversion of a normal cell to a tumor cell." He believes a coalescence of pernicious influences is required for a cancer to develop. "One of these processes is probably altered metabolic activity," he says. "But cancers also must acquire mutations, change the way they interact with neighboring cells and learn to evade the immune system. Every single one of these processes is probably essential to cancer development." Matthew Vander Heiden, a biologist at MIT and oncologist at the Dana Farber Cancer Institute, also says many factors are necessary to induce cancer, including what could be considered the other major theory on the origin of malignancies, that they result from the impairment of signaling pathways that control cell division. "My guess is it's probably metabolic, and it's probably genetic and it's probably cell signaling. I'm not sure you can separate these out since they all appear to be so interrelated," he explains. Regardless of the initial cancer trigger, the ultimate end of the biomedical bickering is to help patients. And as Vander Heiden points out, not only are researchers and pharmaceutical companies already developing drugs that target metabolic pathways, such drugs have been around for some time. "I think targeting metabolic pathways in cancer is a great idea. We already have five or six mainstay chemotherapies that yes, attack cell division machinery, but also target metabolism " explains Vander Heiden, "They're just not billed that way. 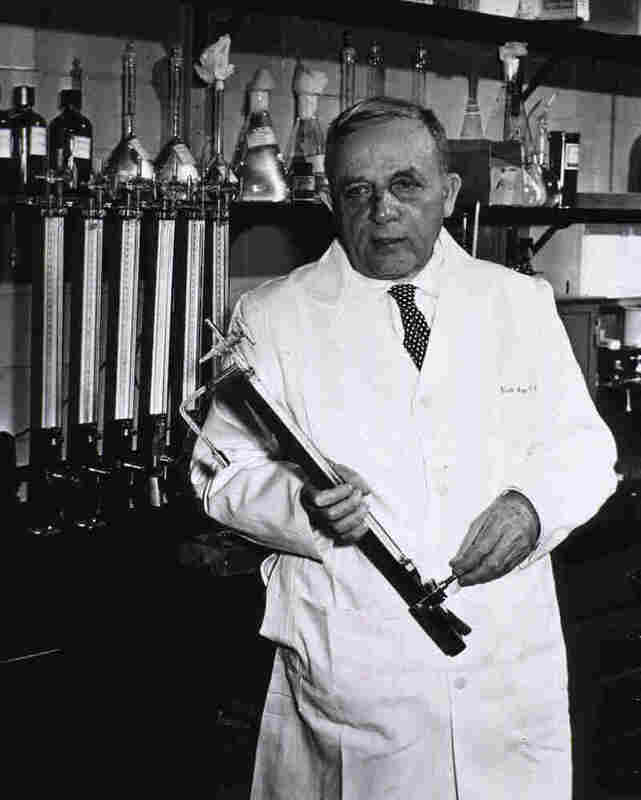 "Seyfried is skeptical that medicines alone will cure cancer. Instead he and many of his colleagues — including Dr. Eugene Fine from the Albert Einstein College of Medicine and University of Pittsburgh neurosurgeon Dr. Joseph Maroon — are focusing on the potential of dietary approaches to contain the disease. There's particular interest in the ketogenic diet, similar to the low-carb Atkins diet that is low in sugar and high in fat. It's intended to starve cancer cells of the glucose they use for fermentation. "The drugs we have now are so toxic and there's no reason people should have to be poisoned to be healthy. There are a number of studies, including those we've published, showing a direct relationship between the ketogenic diet and slowed tumor growth," says Seyfried, also citing the work of Dr. Valter Longo, of the University of Southern California's Davis School of Gerontology. That work shows that low-calorie diets are linked with slowed tumor growth and improved response to chemotherapy. "Why spend all this money going after all these different pathways involved in cancer when you can simply go after the key fuels?" Seyfried asks. The idea of fighting cancer by changing what patients eat has obvious appeal, but it also raises worries. "I get a little scared when people start talking about diet for cancer since you can quickly get into pseudoscience here," Mayo's Thompson counters. 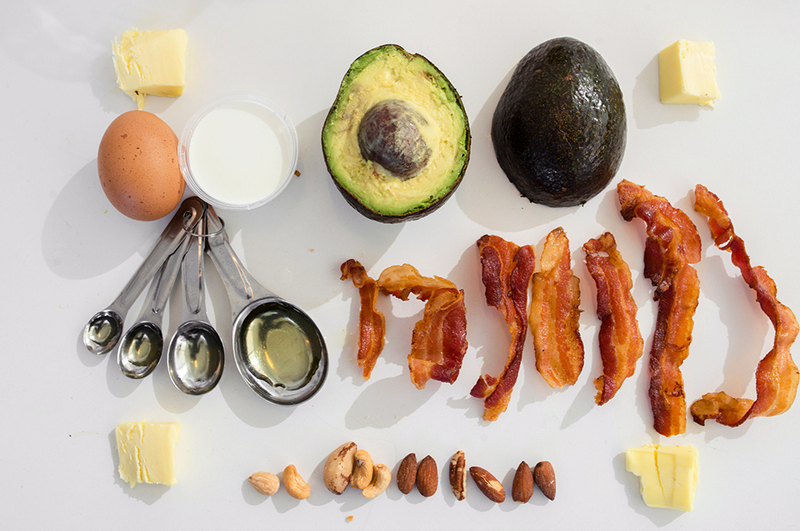 He points out that data supporting the ketogenic diet in cancer are limited — and further that rigorous dietary studies are incredibly hard to pull off. "The drug companies aren't going to fund these types of trials," he says. "They can't make money marketing a diet." Vander Heiden is also wary of many dietary claims, in part because of biased expectations. "It seems that people have often decided what diet they think is best before they do a study," he says. "There's a difference between setting out to prove something is a good therapy and asking what therapy is best." His own work has shown that certain dietary interventions can be more effective than drugs at treating cancer in mice, but he says panacean claims about the ketogenic diet specifically are a bit premature. "I think it's a really interesting hypothesis that should continue to be tested, but to claim that cancer is all metabolic or all genetic is probably incorrect," he says. "Usually in science when you have something as complex as cancer, ascribing it to one particular cause is often going too far." Even Seyfried acknowledges, despite his zeal for treating cancer by tinkering with calories, that in all likelihood diet and nutrient-based cancer treatments will serve as adjuncts to existing therapies. But what would be wrong with that? "We're slowing the tumor down and making it extremely vulnerable to lower, less-toxic doses of available drugs," he says, "When people are locked into an ideology created by a dogma they tend not to focus on rational alternatives." Bret Stetka is a writer based in New York and an editorial director at Medscape. His work has appeared in Wired, Scientific American and on The Atlantic.com. He graduated from University of Virginia School of Medicine in 2005. He's also on Twitter: @BretStetka.